I was inspired today to create some new bookmarks. I used large craft sticks (tongue depressors) and covered them using Zip Dry Paper Glue in the Maggie Cardstock Collection from The Angel Company. I used the Crop-a-dile to punch a hole in one end for the rhinestone brads. They turned out super cute. 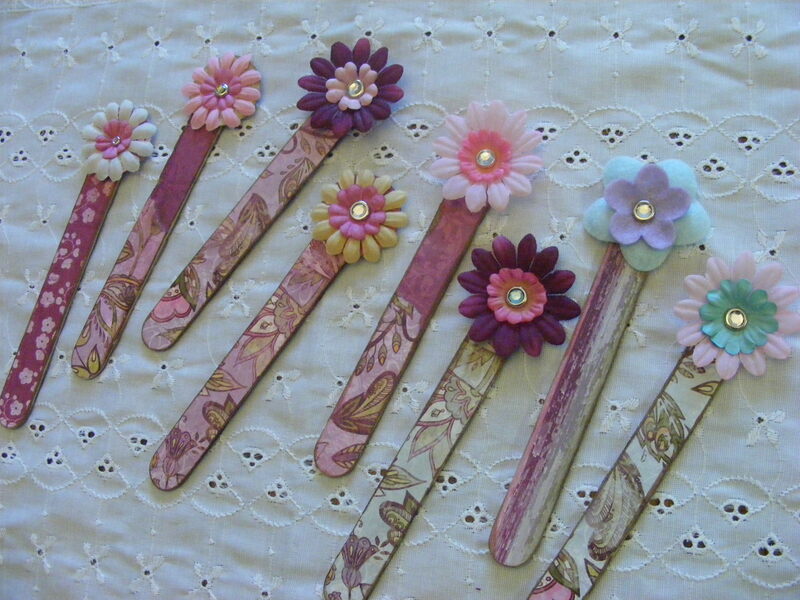 This entry was posted in Bookmarks, Rubber Stamped Items and tagged Bookmarks, Flowers, scrapbook paper, wooden. Bookmark the permalink. BRILLIANT! I love these. WOW.